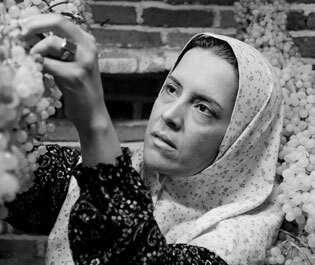 Kiyanoush Ayyari is among seasoned, stylist Iranian directors whose career started before the Islamic Revolution by taking part in “free cinema” current. It was a progressive, though amateur, current whose directors started to make 8-mm films in order to oppose commercial films. A number of currently famous Iranian directors hailed from that generation with the most prominent of them being Ayyari. Ayyari introduced the modern Iranian cinema to the world by making such films as Across the Fire in 1980s and his works along with those of Amir Naderi, Abbas Kiarostami, and Mohsen Makhmalbaf were among the first Iranian films to take part in renowned international festivals. Ayyari makes few films, but has his own style. His To Be or Not to Be, which he produced with no famous actors and on low budget in the late 1990s has been considered by many film critics as one of his best and most artistic works. Thereafter, his films have not found their way onto the public screens. The Iranian Spread, which was a tribute to various Iranian cultures, faced many production problems and was never screened. Wake up Arezu was a docudrama about the earthquake in Bam, which never went on public screens. Thereafter, Ayyari has produced a long series about the life and personality of one of Iran’s scientific dignitaries, Dr. Mohammad Gharib. It took five years to make The Days of Gharib, which was aired on the state television two years ago and was considered one of the best series of the past few years. Ayyari was not too loyal to realities and told his own personal story of the founder of pediatrics in Iran. The series encouraged cinema and television producers to work with him, but Ayyari preferred to work as producer and support young directors. Two years after The Days of Gharib, he started to make his new series, Paternal House. It is five episodes and tells the story of a person called Mohtasham from 15 to 85 years. Those who have watched The Days of Gharib know that Ayyari uses the story of his main characters as an excuse to explore contemporary history of Iran. Ayyari has cast his favorite actors, that is, Mehdi Hashemi and Mehran Rajabi, in the main roles in Paternal House. Other actors include Nasser Hashemi, Shahab Hosseini, Nazanin Farahani, Mina Sadati, Negah Khaqani, and Hossein Fallah. Crewmembers include Shahrokh Dastourtaba (executive producer), Dariush Ayyari (director of photography), Saeed Salehi (sound recordist), Hassan Aqa Karimi (production director), Asghar Nejad-Imani (production manager), Hossein Salehiyan and A’zam Rahmani (makeup), Navid Bani (assistant director and planner), and Leili Moradi (script girl).